Gay Pride Amsterdam is one of the best and most fun prides in the world. 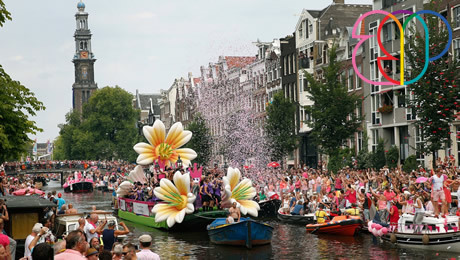 Amsterdam Pride is a citywide gay festival held annually at the center of Amsterdam during the first weekend of August. The festival attracts several hundred-thousand visitors each year and is one of the largest publicly held annual events in the Netherlands. The peak of the festival is during the Canal Parade, a parade of boats of large variety. The Amsterdam Gay Pride usually spans a week of various activities for lesbian, gay, bisexual and transgender (LGBT) people, including exhibitions, cultural and sport events. There are also street parties in the streets where there's a concentration of gay bars. • In the late afternoon Meet & Greet with your LGBT Tour Leader at the hotel and exclusive aperitif in a LGBT Friendly location near Regulierswarsstraat, Amsterdam’s most famous gay street. • Morning short walking tour to discover Amsterdam. • Explore the winding canals, the Royal Palace on Dam Square, the Rijksmuseum from the outside and the Dutch National Monument, memorial to victims of World War II. 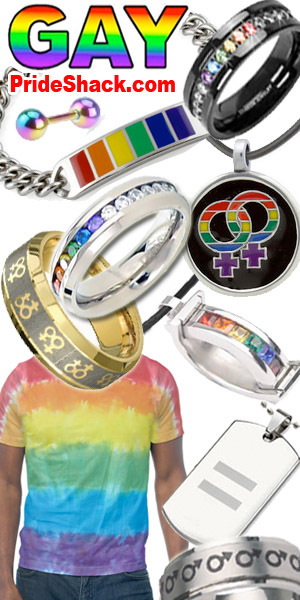 Rainbow Tips: Live the vibrant LGBT atmosphere in one of the many pubs like Club NYX or Club Roque.